Forgiving a racist chant (reporting from Oklahoma City): Amid national outrage over a video referencing the N-word and lynchings, a Christian senator seeks to bring healing. 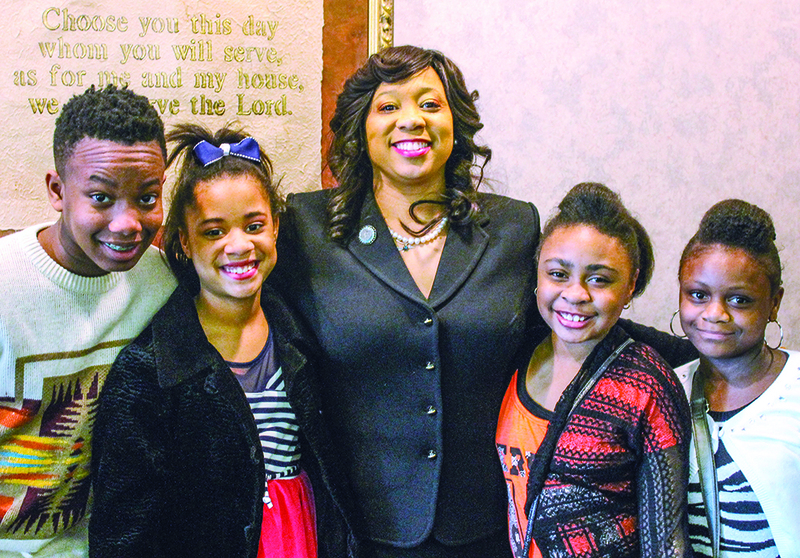 OKLAHOMA CITY — State Sen. Anastasia Pittman chose forgiveness over bitterness. Pittman — the only African-American female among Oklahoma’s 149 legislators — made national headlines when she stood beside an expelled University of Oklahoma fraternity member at a March 25 news conference. Levi Pettit, who is white, apologized for his role in a racist chant caught on video. But what brought the respected state senator and the disgraced frat boy to the same stage? “I can’t promote Christianity or Christ-like values in policy, and then when I have an opportunity to forgive, I don’t,” Pittman, a longtime member of the Northeast Church of Christ in Oklahoma City, told The Christian Chronicle. This story appears in the April 2015 print edition of The Christian Chronicle.